Even though raw milk is stated to be a death sentence for your family according to the U.S. Food and Drug Administration (FDA), newest studies published in The Journal of Allergy and Clinical Immunology, show that it can help you prevent viruses, colds, viruses and respiratory tract infections (RTIs). On the other hand, the processed milk gives little or no health benefits. One big investigatory project known as “PASTURE” involved researchers, doctors and other medical professionals from across Europe, who joined to examine the effects of raw milk versus boiled farm-fresh milk and commercially processed milk. The research involved women, about half of whom lived and worked on livestock farms in rural areas of central Europe. They were all in their third trimesters of pregnancy, and researchers examined their detailed consumption and lifestyle patterns, including milk-drinking habits. In the final data set, 983 children were involved, and it was found that the milk in its pure, raw, unobstructed form is superior when it comes to immune-boosting nutrition. 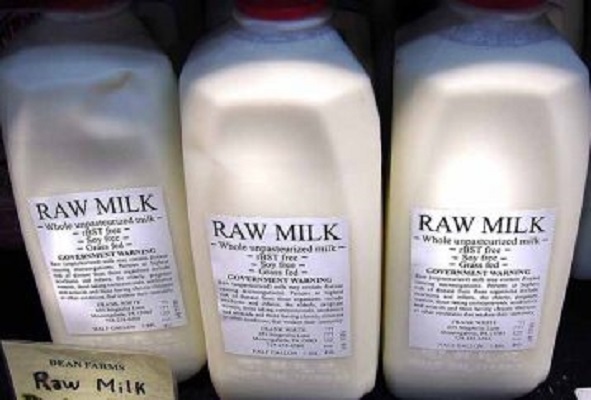 Raw milk is similar to the breast milk in its protective, anti-infective properties. It reduces the C-reactive protein levels, which are directly related to inflammation. It, therefore, prevents and treats inflammation, while the processed milk promotes it as a result of the changed proteins. “The main finding of this analysis was an inverse association between consumption of unprocessed cow’s milk and rhinitis [cold or a runny nose], RTI [respiratory tract infections], and otitis [ear infection]. Moreover, experts have found that the consumption of ultra-heat-treated commercial milk reduces the levels of C-reactive protein, which is the main cause of disease. Commercial milk was also discovered to raise the prevalence of fevers in comparison to raw milk. Raw milk is linked to about 30 percent drop in respiratory infections and fever, and helps babies and young children to prevent common ailments. Experts found that even minimally processed milk boiled directly on the farms can be beneficial, but much less than the raw variant. “We are now not talking about asthma and allergies, but fever and infections in young children. Unlike in America, the Europeans accept raw milk as a safe and beneficial food. Numerous countries have raw milk vending machines on city streets. “In Europe, the consumption of unpasteurized milk has repeatedly correlated with protection against allergic disease. In America, 80 percent of the Amish studied by Dr. [Mark] Holbreich consume raw milk. In a study published earlier this year, Dr. [Bianca] Schaub’s group showed that European children who consumed farm milk had more of those regulatory T-cells, irrespective of whether they lived on farms.